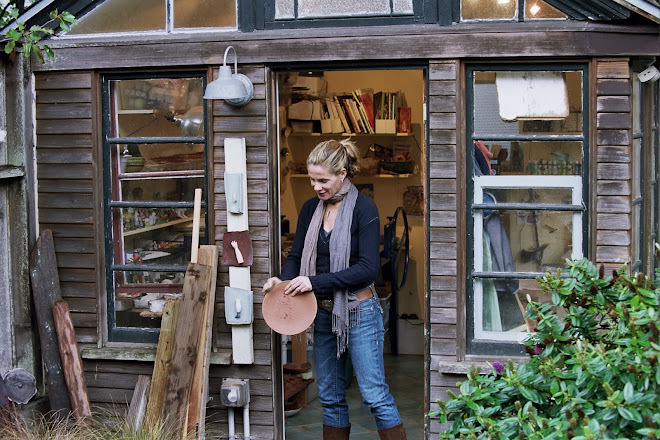 If any of you are like me than you are lamenting the quick demise of shelter magazines and the chance to see things, tear them out and be inspired by other people's homes, creations and ideas. One of my few remaining go-to's in print is the Thursday Home Section of the New York Times. I love the quirky features they put out there and the colorized spread of all that is new and good, or at least interesting. SO it was with great excitement that I "got the call" or rather the e-mail to have some of my work featured in the Currents section on March 4th. I chatted with Elaine Louie-(whose writing on home and food, I do admire) about the Lazy Susans--and a bit about their evolution in my mind and hands. lisa@lneimeth.com for information on how to order. 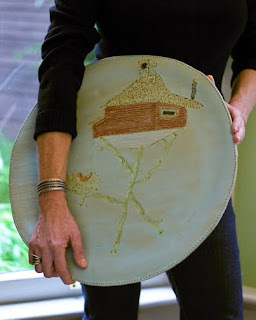 And to see images of the Lazy Susans discussed-go to the tableware section of my website and click on the sidebar New! for images. Also-scroll back in this blog to see a post on the lazy susans and to see them in action!